GoodReads: Paige Mahoney has escaped the brutal penal colony of Sheol I, but her problems have only just begun: many of the fugitives are still missing and she is the most wanted person in London. I'm so thrilled to be part of this tour! Below you will find my (gushing) review of The Mime Order, and an exclusive piece of content written by Samantha Shannon. When The Mime Order came in the post I was beyond excited, because it was one of my most anticipated sequels of 2015. To say that I'm head over heels in love with the first book, The Bone Season, would kind of be an understatement - I mean I've read it three times, first as an e-arc back in August 2013, then again in April 2014, and once more a couple of months prior to TMO's (old) release date. Am I obsessed? YES. The term book hangover comes to mind when I think about how I felt after finishing The Mime Order. Days after finishing the book I still couldn't stop thinking about it. I kept coming back to it between books, whether to re-read my favourite passages or to just *cough* stare at it. It is definitely, hands down, 100% the best book I read last year, and I will no doubt be re-reading it this year as I wait impatiently for book three. I have to admit that when I first heard that there was going to be seven books in this series I was a little wary. You see I personally prefer duologies, trilogies or even quartets. The reason for this is because I've found that when series' go past 2-4 books they either become boring and I lose interest, or something happens that is such a complete turnabout it ruins my enjoyment of the books. Even though I'm still unsure about how the series will pan out into seven books I now have have a better idea, having read TMO, of why there is going to be more than 2-4 books - I don’t think this intricate story Shannon has created would quite fit into a trilogy, etc. At around 500 pages The Mime Order is a beast of a book, yet it could have been more and I still would have flown through it. The pacing in the first half is slow, and although I'm usually not found of slow-paced sequels it completely worked for me here. I was so invested in the intricate world-building and characters that it just wasn't an issue. 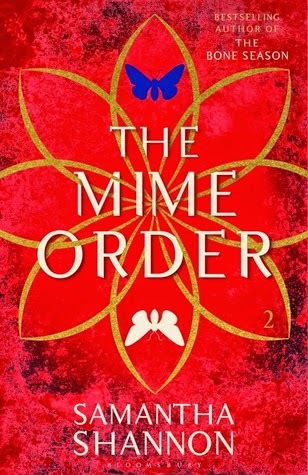 The Mime Order picks up exactly where The Bone Season left off, and if you can I definitely recommend re-reading book one, or alternatively if you haven't got time to do that perhaps read this detailed recap posted by the lovely people at Recaptains. As well as fully introducing us to the Seven Seals, The Mime Order, sets the scene for things to come and explores the internal politics of the criminal syndicate of Scion. I love the slow-burning progression of the romance, because if this is going to be a seven book series I don't want things to move too quickly between Paige and Warden and simmer out. Warden does not appear until half way through the book, and when he does there is obvious tension between them, what with their romance being the forbidden type. 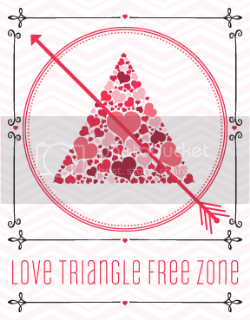 Although forbidden romance is a typical trope in YA I think Shannon has done a wonderful job with it, creating tension, yet at the same time straying away from over the top angst and love triangle drama. The romance is well balanced with the rest of the story and if you enjoyed what has now been dubbed by many as the 'crate' scene I think you'll enjoy pages 407- 409 (at least in the ARC it's those pages, not sure about the final copy) because SWOON. I also really like the dynamics of Paige and Warden's relationship; the way they challenge and push each other is great. I hope Shannon plans on including Warden's POV in future books or perhaps writing a novella from his perspective as I think it would be very interesting to get inside his head. As I said earlier there is less focus on action in the first half of TMO, and more on the world building and characters. There is political intrigue and we are introduced to the different clairvoyant gangs and characters, including the Seven Seals. As Paige tries to stay under the radar she realises that in order to fight the Rephaim –whose dark presence you can feel throughout the course of the book despite them not actually being present for the majority of it- she must attempt to convince and bring together the scattered community of clairvoyants. However, as she navigates through the criminal underworld of Scion she soon discovers that the place she calls home is hiding some dark secrets. In the Mime Order Paige is faced with many challenges and has to make some hard decision, but despite her young age she faces them head on. It was great seeing her grow and I can't wait for more character development in future books. I also found her changing relationship with Jaxon fascinating. After the events of book one she no longer sees him in the same light and wishes to cut all ties to him, but soon finds that it isn’t as easy as that. The second half of the book is where the action kicks off. The build up of mystery as Paige attempts to puzzle together the secrets of the underworld of SciLo is well paced - there is death, blood, and plot twists at every corner which lead to one heck of an ending. I honestly did not see it coming! WoW! This must be awesome considering you read the first book three times and that this one impressed you just as much. I still have a copy of the first book that needs to be read. After reading some glowing reviews for this one, I am most eager to dive in and check out this series for myself. Ahhh.... this book moved too slowly for me. Except the romance because I do love a good slow burn romance. Still, I'm in for the third book! YESSS i am so glad you loved this book, I can't wait for it to come out! I don't mind the slow pacing because I loved the world that was built in The Bone Season, so I'm really eager to read it. I'm glad everything progresses slowly and naturally. Lovely review! Five-hundred pages is nothing compared to the seven-hundred-page Order of the Phoenix. ;) But still. It takes skill for an author to be able to keep a reader hooked for so long, so I know now that The Mime Order will be full of action. And I like that it takes off right where TBS ended. Those time jumps in sequels always annoy me because I HATE not knowing what's going on, haha. I also have to say that I was really worried about the romance, because it progressed kinda quickly in the first book (to me, at least), but I'm glad to hear that Samantha took her time with the whole Paige and Warden thing! Yeah, if this series is going to be seven books long, we can't have all the swoon worthy romance being used up in the beginning, can we? Awesome review, Renu, and I can't wait to get my hands on TMO!